Last week, there were a couple of auctions in Great Britain, an RM Sotheby's auction in London, and a Bonhams auction run in conjunction with the Goodwood Revival vintage races. With all the other things we had going on, we missed out on creating a preview for you, but we've come back with a recap. There were a number of lots that sold for well over what we ever would have thought. We saw a new record for 993, 964, and 550 Spyder sales. Held on the Wednesday prior to the Goodwood festivities, a short 3 hour train ride away in Battersea, it's a surefire bet that some of the enthusiasts in town for the Revival were also at the RM Sotheby's auction on Wednesday. Especially when there were 993 GT2s, 964 Turbo S Lightweights, and Carrera RS 2.7s available for bidding. Just a couple of Porsche no-sale lots, combined with a couple new world records and some well-above-market sales tells me that this room was the hot place to be that night for a Porsche buying enthusiast. Among these lots, the 1980 911 SC Targa seems like the odd man out, as every other Porsche was well above the 6-figure mark, and well worth it, too! It is interesting to note that while the 993 GT2 and the 964 Turbo S Lightweight are exceedingly rare and iconic iterations of their respective generations, the world of collecting has apparently deemed a 993 to be worth $2.4 million dollars, and a 964 to be worth $1.3 million dollars. The market boom doesn't seem to be slowing any time soon, in fact it seems to be expanding into ever further throngs of insanity, at least for the right Porsches. 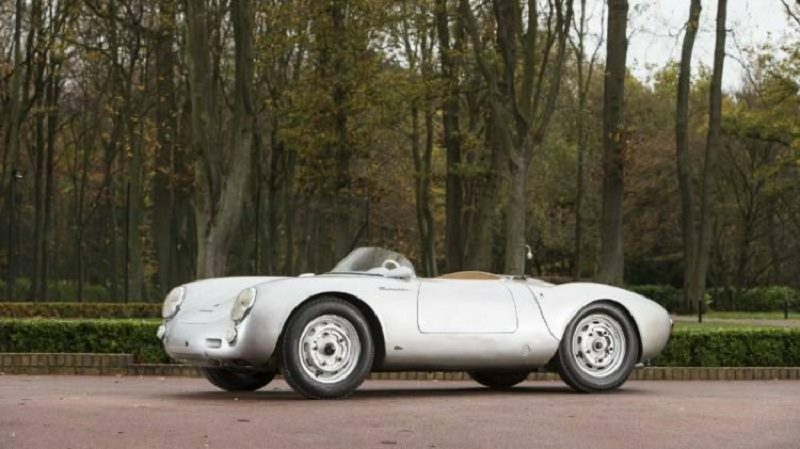 While the RM Sotheby's sale had a lot of depth in their Porsche offerings, Bonhams' sale, at Goodwood proper, was pretty centralized around just one special Porsche, a very original 550 Spyder. Perhaps just a "regular" 911 or 356 isn't really catching that much attention at auctions like this, and you really need a special Porsche in order to stand out. This one certainly qualifies, but with a handful of no-sale lots, it would appear that the trickle down attention from the 550 just didn't reach their other Porsche offerings. A mind-boggling $6,104,365 was spent to purchase this unrestored Ex-Vasek Polak 550 Spyder, in fact it is advertised as the "world's best preserved" example. Well, because of that provenance, this Porsche is now a world-record holder for 550s, and indeed any Fuhrmann 4-cam powered car. Have You Seen Porsche’s Most Recent Interactive Print Advertisement?